Good morning! Today I have a simple, quick card to show you. In case you already have the stamp set and need a last minute Christmas card. My card base is Cherry Cobbler, 5-1/2″ x 8-1/2″, scored at 4-1/4″. I stamped the little snowflakes from Alpine Adventure all around the card base. 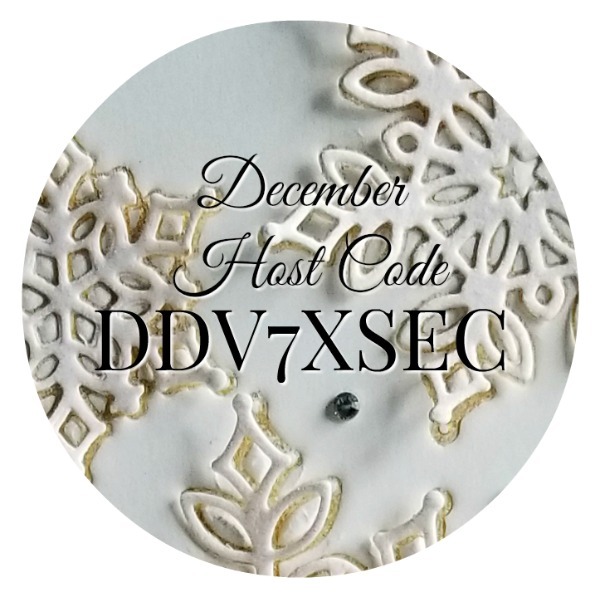 Then I mounted a 3″ x 3″ piece of Dashing Along designer series paper on a piece of 3-1/8″ x 3-1/8″ Whisper White cardstock and glued those down to the card. 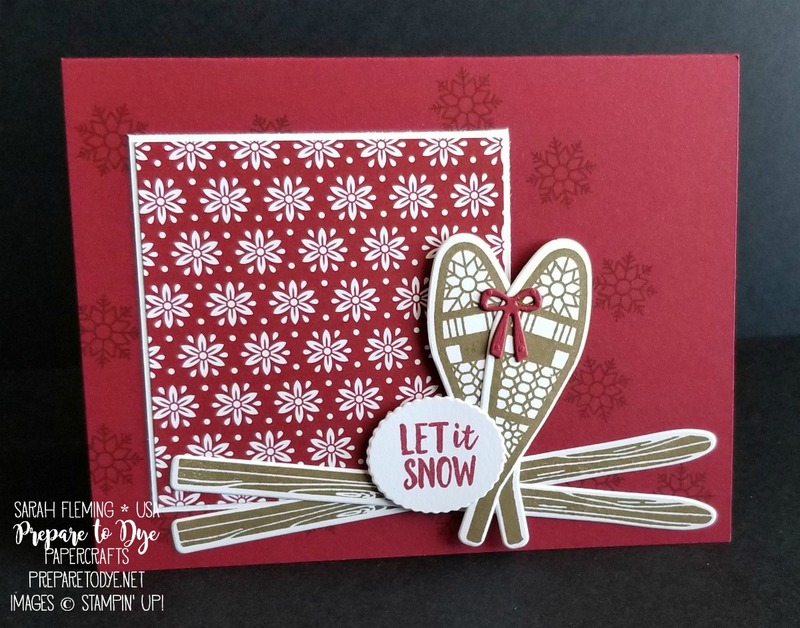 I stamped the skis and snowshoes in Soft Suede on Whisper White cardstock and cut them out with the matching Alpine Sports dies — these dies are sold out, but the snowshoes and skis are really easy to fussy-cut. 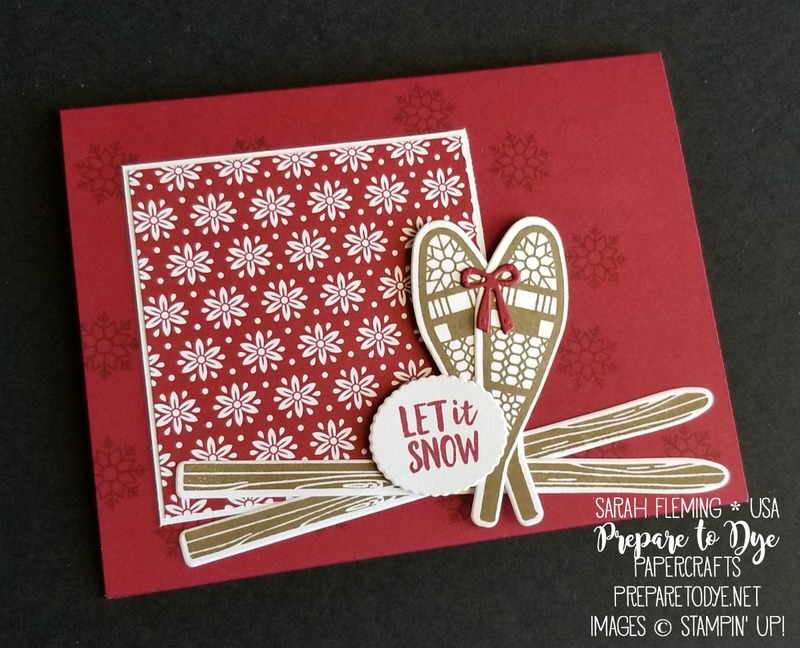 I stamped Let it Snow in Cherry Cobbler on Whisper White and cut it out with a scalloped oval from the Alpine Sports dies, but you can use whatever circle or oval you have onhand. Same for the Cherry Cobbler bow — just use what you have or even leave it off. I glued the skis to the card and put the snowshoes and sentiment on the card with Dimensionals.